We recommend linking to the PCOS Challenge Web sites using one of the text links or banners below. Please use the link text or banner that makes most sense for you. All you need to do is highlight, then copy and paste the COMPLETE code in one the text boxes below into the HMTL code of your web page. 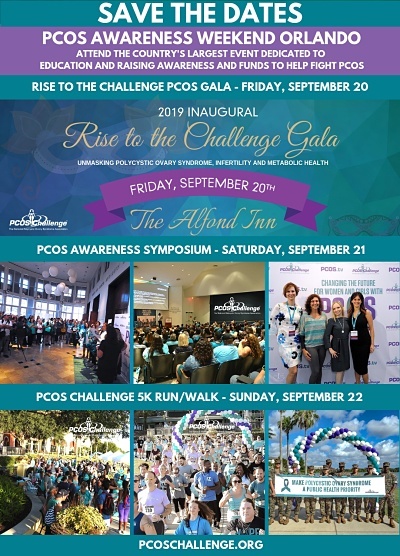 PCOS Challenge is nonprofit organization that provides education and support resources for women with Polycystic Ovary Syndrome through television and radio programming, workshops and online and offline support networks. Offers insights from leading Polycystic Ovary Syndrome experts through television and radio programming and local support groups to help women overcome the effects of PCOS and related conditions including infertility, diabetes, cardiovascular disease, anxiety and depression, and hirsutism. PCOS Challenge provides health information regarding Polycystic Ovary Syndrome and related conditions. Learn about PCOS symptoms, diagnosis, diet, infertility and treatment options.